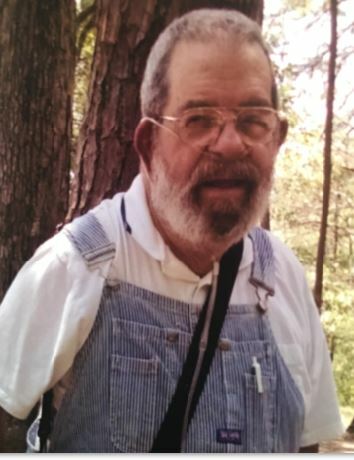 Barrett ‘Bear’ Baden Bishop of Dayton, TN passed away November 03, 2018 at his home. Bear moved to Rhea County from New York in 1998. He was of the Catholic faith, a veteran of the US Marine Corps, a member of The Knights of Columbus in Harriman, TN and a self-employed electrical contractor. He is preceded in death by his parents, Gordon and Vera Belle Bishop; brother, Gordon C. Bishop and sister, Vera Belle Johnson. He is survived by his wife, Vivian Marie Bishop of Dayton, TN; children, Marie Mosley of Harrison, TN, Barry Gordon (Lisa) Bishop of Houston, TX, Kathryn Marie Bishop of Dayton, TN, Cliff Henry (Teressa) Bishop of Houston, TX; brother, Kenneth Bishop of TX; 4 grandchildren, Shane, Julia, Shawn and Kali and 8 great grandchildren. Service will be Wednesday, November 07, 2018 at 10:00am at Blessed Sacrament Catholic Church in Harriman, TN with Father Michael Sweeney officiating. Family will receive friends Tuesday, November 06, 2018 from 4:00-7:00pm at Coulter Garrison Funeral Home. Interment will be Thursday, November 08, 2018 at 11:00am at Chattanooga National Cemetery with military honors.